Omaha, Neb., July 17, 2006 ? Another tribute to a great railroad is riding the rails. The latest addition to Union Pacific?s Heritage Series of locomotives, the Chicago & North Western locomotive, was introduced Saturday during a special employee event in Chicago. The new locomotive incorporates C&NW?s historic colors and graphic elements to honor the men and women of the Chicago & North Western. 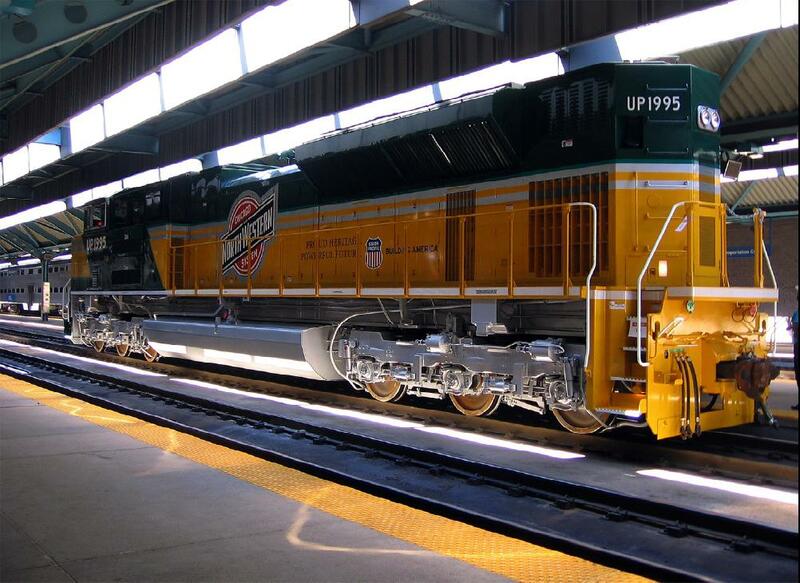 "The many railroads that have become a part of Union Pacific added more than track and territory, they also contributed the expertise and knowledge of the many people who worked for those great lines," said Bob Turner, senior vice president-Corporate Relations. "The creation of our Heritage Series is just one way we are honoring the generations of men and women who helped to build a great nation and the foundation for our future." The Chicago & North Western locomotive joins the Denver & Rio Grande Western locomotive unveiled in June 2006, the Katy locomotive rolled out in September 2005, and the Missouri Pacific and Western Pacific locomotives unveiled in July 2005. One more Heritage Series locomotive, the Southern Pacific, will be introduced in August 2006. 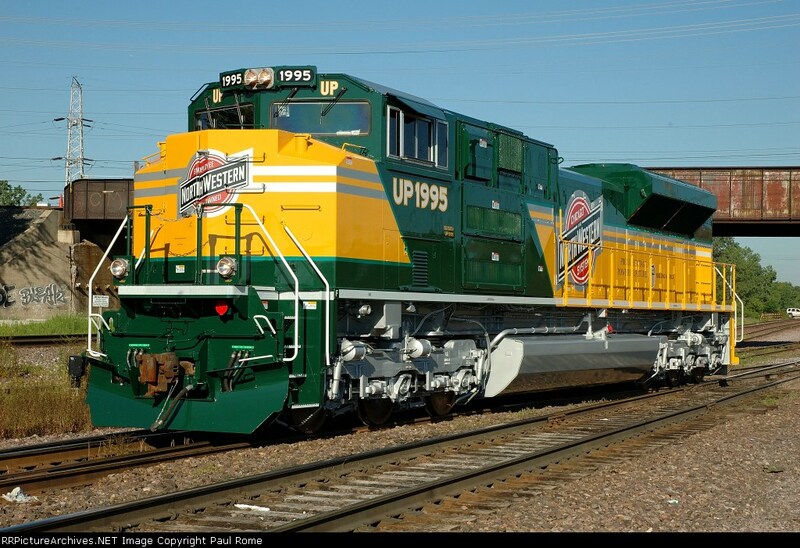 All honor the people and the railroads that have made Union Pacific what it is today. The Chicago & North Western was a road of contrasts ? serving Chicago commuters, Michigan iron mines and Illinois coal fields. It amassed a sprawling network of branch lines throughout the Midwest and established the industry?s first safety campaign by coining the phrase "Safety First." The line also was a key link between Chicago and the West. Chicago & North Western was the first railroad to connect with Union Pacific at Council Bluffs in 1867, and in 1984, partnered with UP to open a connector line to the coal fields in Wyoming?s Powder River Basin ? enabling the region to become a major U.S. energy source. 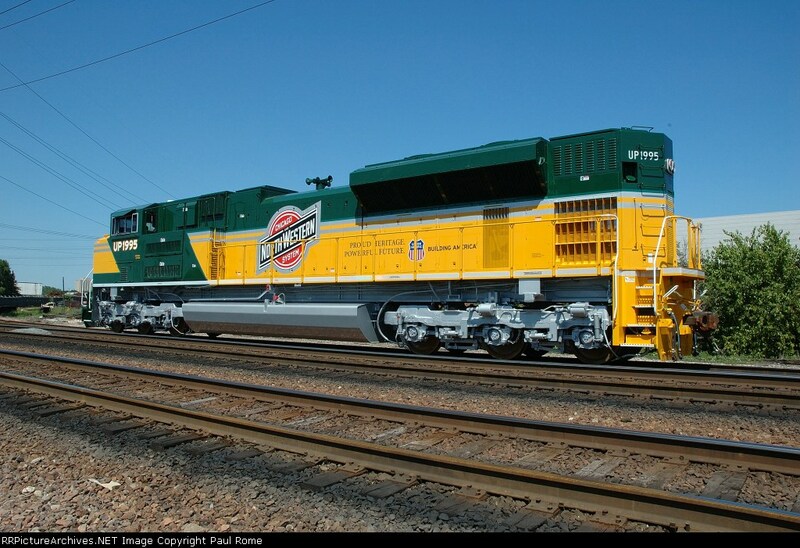 The Chicago & North Western and Union Pacific merged in 1995.